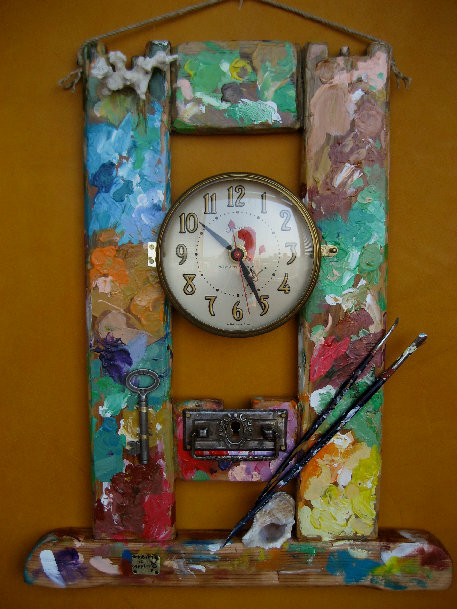 I believe every artist would like to have such piece of art in his/her studio. These clocks are inspiring to create more and more beautiful things. And the last one I really love - "Cuckoo clock". Vintage door, vintage clock parts, bakelite bird, old key.. what is the common for all these things? 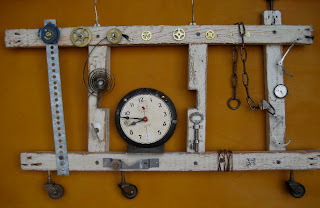 Almost nothing except all of them together are really rare and gorgeous kind of clock. 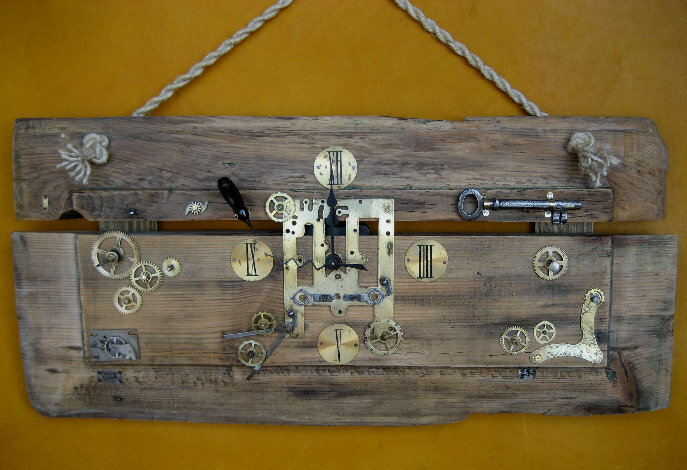 I liked and posted these three clocks because I have never seen such clocks, they are just mind-blowing and one of a kind. And they fit the format of my blog just perfect. 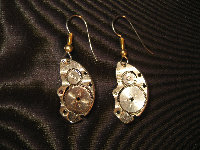 There are more Olga's art at her personal web-page www.olgaclockworks.com. They are also beautiful, I really recommend to take a look.